Two Loop Control Panel, 230Vac, 2 sounder circuits. The DX Connexion is an enhancement of the Morley-IAS Dimension panel range, connecting the traditional Morley-IAS qualities of reliability, flexibility and value with advanced features and intuitive functionality. We are one of the procured companies in the market of fire alarm panels, we offer Addressable Fire Panel Morley panels that are thoroughly tested on various parameters before their final dispatch. Offered panels are appreciated globally for their minimum electricity consumption, easy installation and optimum performance. Besides this, hooter, manual call points, optical smoke detector devices is equipment seen in the market. 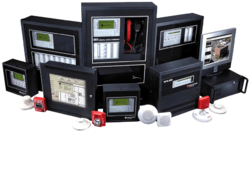 Stark Engineers provides installation, repair and maintenance services for a variety of fire detection systems. 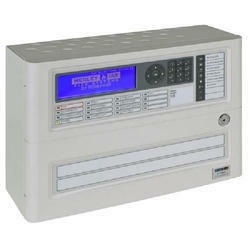 We are specialized in installing the most suitable fire alarm system or any fire security system at your site. WE DEALS IN MORLEY IAS UL LISTED FIRE ALARM ACCESSORIES.